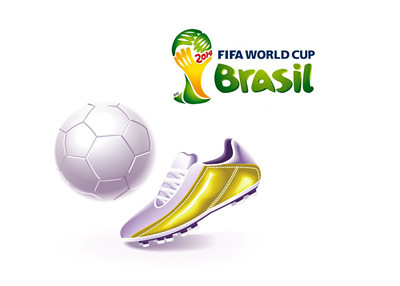 Here we take a look at the top goalscorer odds for the upcoming 2014 FIFA World Cup in Brazil. It comes as no surprise to see Lionel Messi, Junior Neymar and Cristiano Ronaldo as the favourites to win the top goalscorer award, also known as the World Cup Golden Boot. In 2010, four players finished at the top after scoring five goals each. Thomas Muller of Germany won the Golden Boot, as he had three assists to his name, while David Villa, Wesley Sneijder and Diego Forlan managed to get one assist each. The rule says that If two or more players score the same number of goals and have the same number of assists, total playing minutes will be considered when awarding the trophy. Fewer minutes played, the better. Who do you think will win the Golden Boot this year?